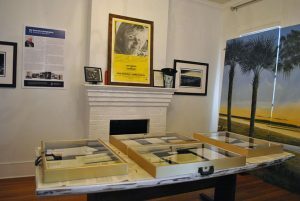 The Pat Conroy Literary Center in Beaufort, South Carolina, aims to be a haven for readers and writers, as well as a legacy of its legendary namesake. “He was a very good ear,” novelist Cassandra King says of Pat Conroy, the friendly giant of Southern fiction and her late husband. 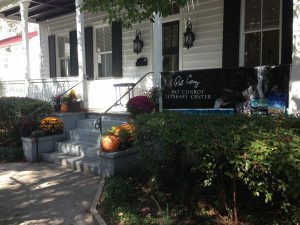 Conroy’s untimely death on March 4, 2016, drew family, friends and colleagues together to establish a literary center in his name, which had its soft opening last October. Conroy’s “good ear” made him a masterful storyteller as well as mentor, a facet the Pat Conroy Literary Center in Beaufort, South Carolina, plans to celebrate. “Our focus is to develop a living legacy to Pat’s commitment to teaching and learning for readers and writers of all ages,” says center Chair Jane Upshaw. This will include writer’s workshops, an annual festival and reading groups dedicated (at least initially) to writers of the South Carolina lowcountry, from which Conroy likewise drew inspiration. Newly appointed Executive Director Jonathan Haupt explains that “Pat often said he owed a debt of gratitude to this state and to Beaufort in particular that he could never repay, and we want to repay it for him by honoring the South Carolina connections in the selections [for the festival and reading groups]. Before he died, Conroy had already been investing in his region with Story River Books, an imprint of the University of South Carolina Press, also directed by Haupt, exclusively for local writers. “Story River and USC Press was a physical manifestation of what Pat had been doing [mentoring] for a long time. 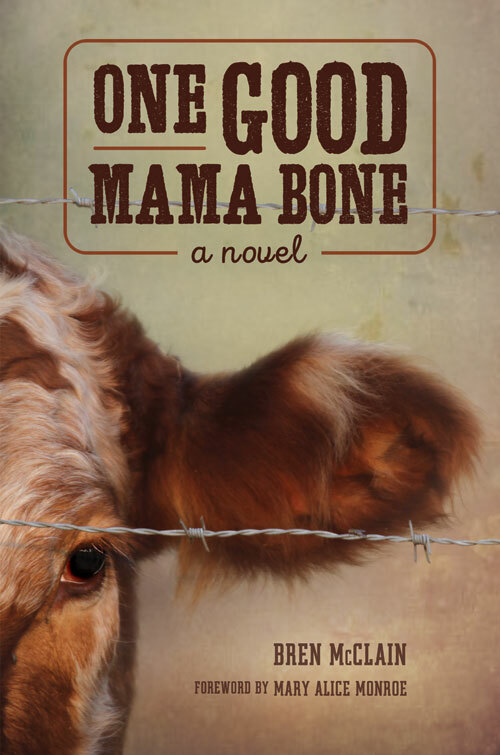 I can’t imagine any other writer with such a genuine interest in others,” says King. Collaborations between Story River and the center will be symbiotic. 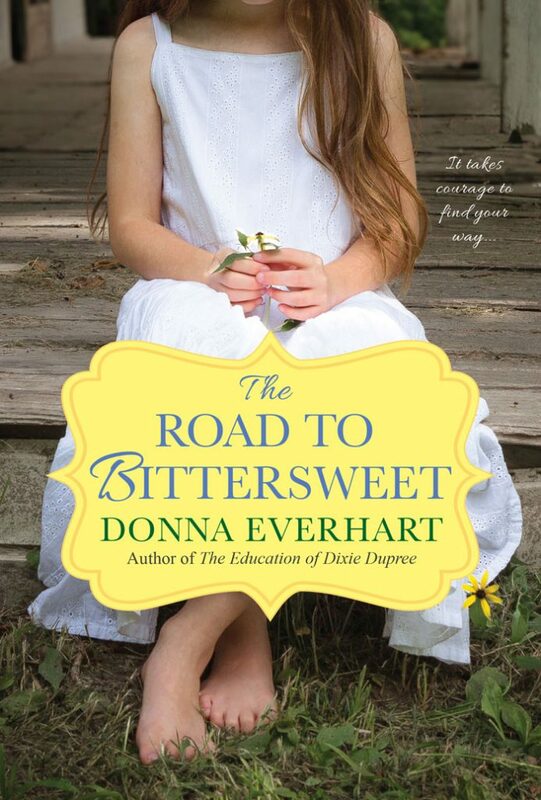 “The Story River family was very much a part of the Conroy festival, and we expect that will continue to be the case here at the literary center,” says Haupt. Upshaw says they plan to make the festival their signature annual event, but educational workshops of all levels will pay tribute to Conroy’s guiding spirit in their own way. “The lens through which we’re establishing the program is taking the approach that Pat took when he was teaching and mentoring writers. First, go deeper. If you’re writing something that’s not causing you pain as you’re putting it on to the page, you’re probably not going as deeply into yourself as you can. The model is very introspective, there’s a psychology base to the seminars,” Haupt detailed. “Pat’s second advice to writers was to get better at reading,” he continued. Book club style courses in 10-week programs partnered with the Beaufort County Library will also focus on regional literature and teach participants how to read more deeply, like a critic. The center’s educational goals are broad, and everyone is welcome to partake in its rich resources. “The target audience is members of the community that include a wide range of educational backgrounds—we want to be all inclusive and to invite people regardless of their educational experience to engage in his work as a scholar might,” says Haupt. The outreach is an extension of Conroy’s early passion for the underfunded and forgotten community of Daufuskie Island, which became the basis of his second book, The Water is Wide. In the coming year, the center will further acknowledge the influence of that experience with a documentary showcasing his former students and the changes Conroy’s unique style of education wrought in them. A nonprofit, the center is currently seeking funding for the project, and donations may be given through their website and at events throughout the year. The first of these events should take place during February in Charleston. Back at home in the schools of Beaufort, Upshaw sees a niche for the center. “I also see us bringing in teachers who could provide our local teachers ways to enrich their current methods in reading and writing,” he says. 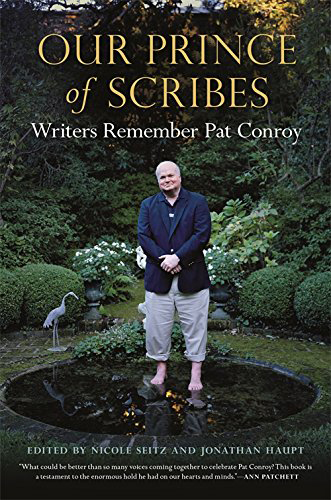 After Conroy became a full-time writer, Upshaw says “the world became his classroom.” At the Pat Conroy Literary Center in Beaufort, they are working to relocalize that experience and set up, simultaneously, an active memorial to a man who will be missed for his writing and much more. 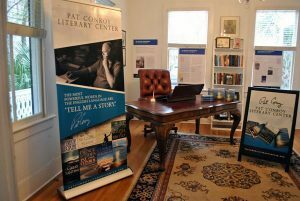 The Pat Conroy Literary Center museum is open to the public on Fridays and Saturdays from noon-4 p.m. and on Sundays from 1-4 p.m. Photos courtesy of Pat Conroy Literary Center. I am shocked…I began trying to formulate an Affirmations book for all military to have. In those pages volunteers would offer a snapshot of who they were in combat and now offer to the 9/11 discharged with multiple deployment scars the right to express and recover from their host of feelings that the stigma and ethos of the military “suggest” that you should stuff and keep silent about. Only to see it erupt to acting out, workplace violence or family violence. As an addiction counselor, retired and therapist and Vietnam Vet, I had begun a book called the SQUAD hoping to address a better transition and journey from the BEST MILITARY MAN/WOMEN to a thinking feeling present Civilian. The SQUAD needs to be by Vets for Vets and having discovered this site…..I have prayed for help and guidance to value this amazing transition asked of our vets. And here you are ….please help me write! I think my message was sent, but noticed an error existed. I hope to visit the Center today and ask for help with my book the SQUAD. This maybe a prayer answered !